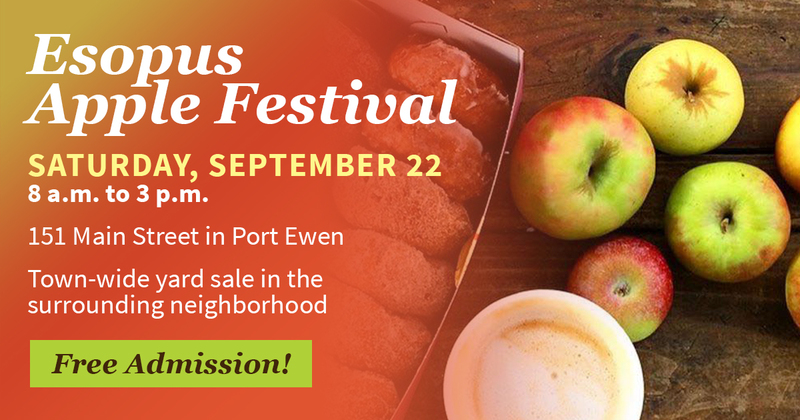 The Esopus Apple Festival has a decades-long history of both raising money for the Town of Esopus United Methodist Church and bringing big crowds of people to Port Ewen, who come for the apple pancakes and pies, and stay for the town-wide yard sale. The event is on Saturday, September 22 from 8 a.m. to 3 p.m. at 151 Main Street in Port Ewen, with the town-wide yard sale taking place in the surrounding neighborhood. Admission is free. The stars of the show are the hundreds of apple pies that will be on offer, which are baked en mass by members of the church in the days leading up to the event. Cindy Delavan, of Port Ewen, is one of the volunteers who has been been involved in the event since her childhood. 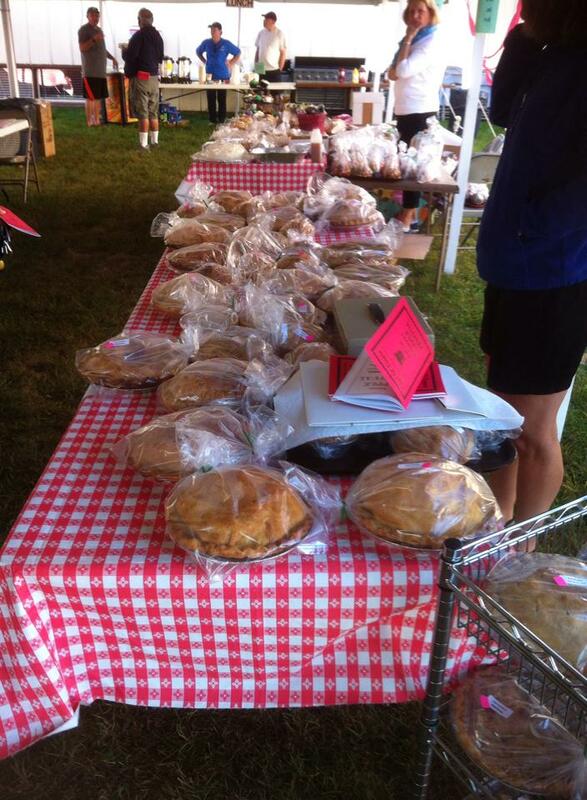 The festival started solely as a fundraiser for the church, and has evolved over the years along with the community; the source of the apples has moved around, the event partners and side events have changed, but the one constant has been the apple pies. “We’ll make big pies, little pies, apple crumb, sugar-free, pie a-la-mode, and just traditional apple pies,” Cindy says. Although Esopus Spitzenberg apples are few and far between nowadays, local orchards like Hurds Family Farm and Maynard Farms are supplying a mix of McIntosh and Cortland apples. Church secretary Bethany Snazely says one of the most popular newer additions are apple pancakes. Some of the other food on offer throughout the day: hamburgers, hot dogs, sausage and peppers, fried dough, cider, much of it donated by local businesses and all prepared by a range of community volunteers. While the festival has been going on for almost 50 years, the Town of Esopus has been renowned for apple-related matters since the 18th century, when Thomas Jefferson and Herman Melville were both known for loving Esopus’ “Spitzenberg” apple variety. For more information, check out the event’s Facebook page or call the Town of Esopus United Methodist Church at (845) 338-0356..